ShoutBloger: Smartphone vendor HTC Corp will allocate an equally large investment to develop market next year. 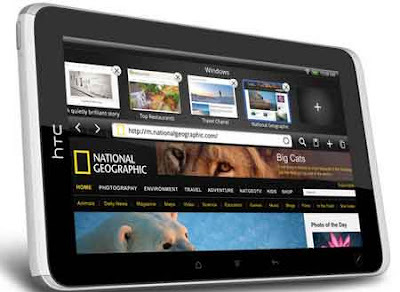 Taiwanese companies will also be re-excites the tablet market with the release of the HTC latest tablet. The CEO Peter Chou said, to boost the emerging market through cheap mobile phones, HTC does not mean just removing the image of 'brand premium' that had been attached to the company. Consumers are willing to pay more, that's why we grow nearly five-fold in China this year. It exposes consumers to support our philosophy, he said as reported by Reuters on Tuesday November 8, 2011. HTC also revealed the company was still interested in the tablet market. So far, HTC just released one tablet model, HTC Flyer tablet, and prefer to focus on developing mobile phones. The tablet is a market we wanted to try and test, to see if we can differentiate them and avoid the me-too product, he said. HTC carved a success during the period 2010 and early 2011. HTC shares jumped more than tripled in 14 months to April 2011. Its sales grew four-fold at one-half years, driven by the growing magnitude of the demand for innovative smartphones.